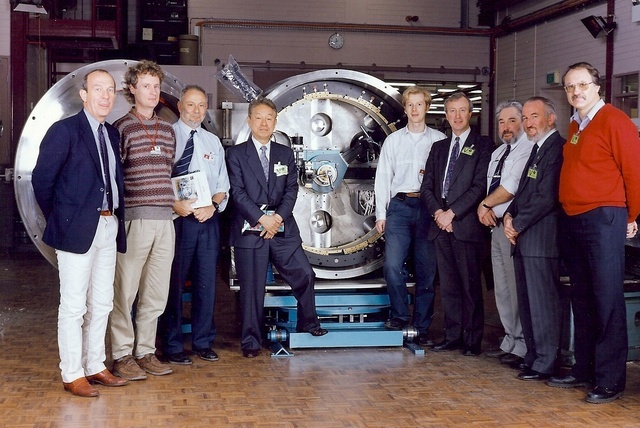 BIG DIFF is an Australian commissioned and built powder diffractometer at the Australian National Beamline Facility in the Photon Factory at Tsukuba. 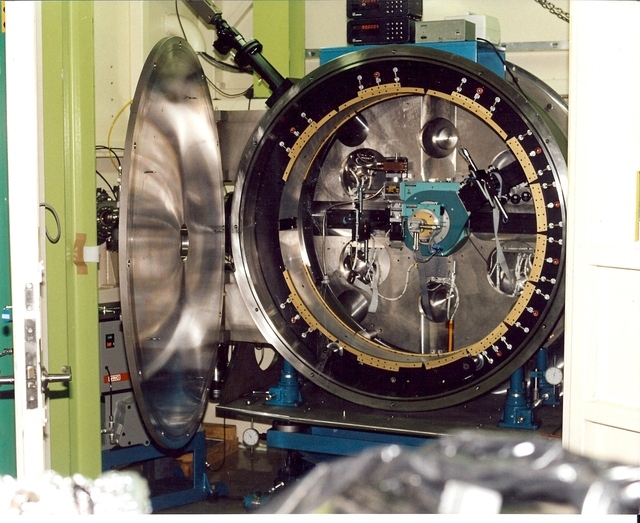 The instrument was formally commissioned on 22 October 1993 by Australian federal science minister Senator Chris Schacht. The completion of BIG DIFF. 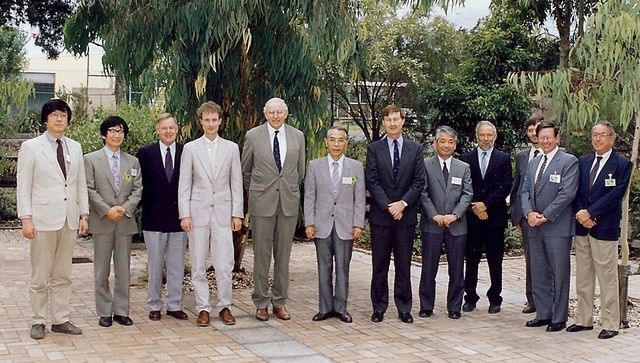 John Davis, Richard Garrett, Steve Wilkins, Leo Esaki, David Cookson, John Pilbrow, Sandy Janky, Trevor Finlayson, Peter Wells. 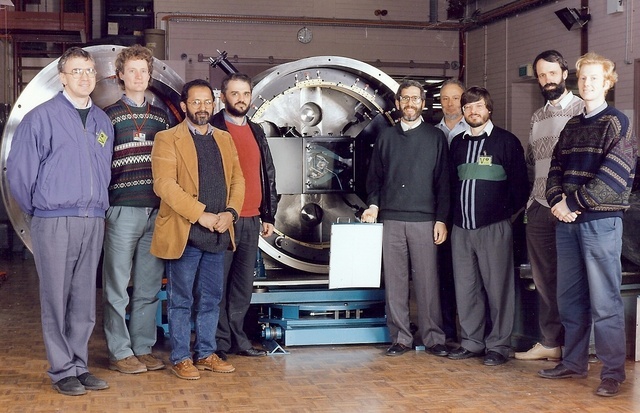 ?, Richard Garrett, Jose Varghese, Tom Garrett, Mitchell Guss, Steve Wilkins, Michael Parker, Mike Lawrence, David Cookson. 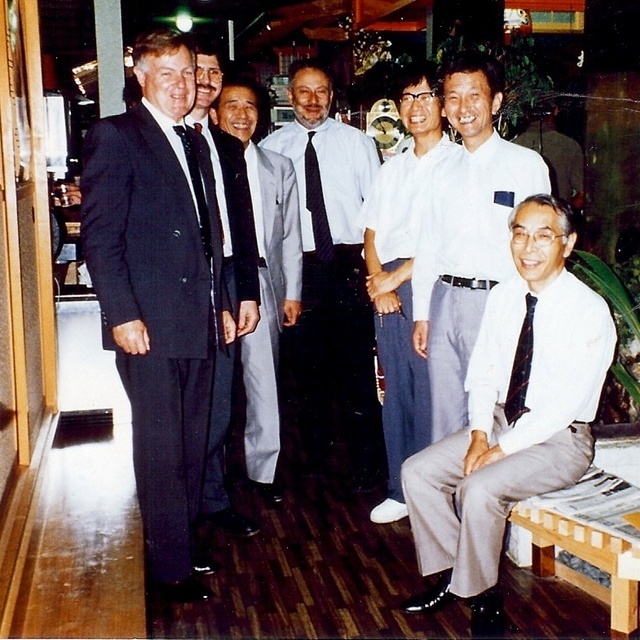 Dudley Creagh, ?, Junichi Chikawa, Steve Wilkins, Masami Ando, Norio Sakabe, Hiroshi Iwasaki. 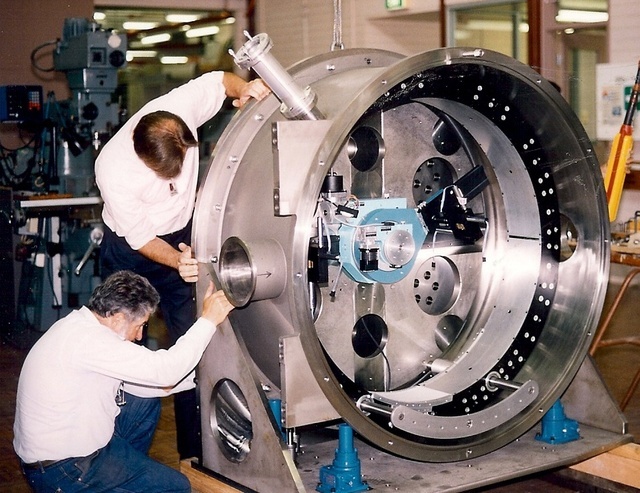 The milling of BIG DIFF. 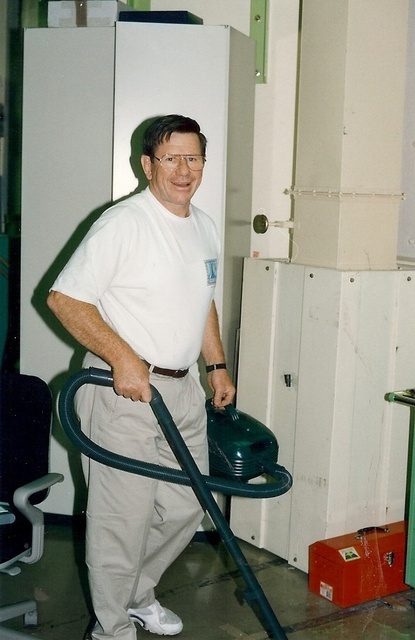 Max Holt, Harry Roelofs. 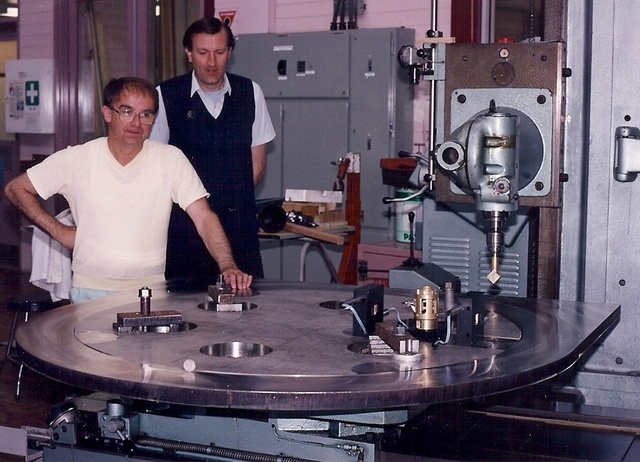 Checking the milling of BIG DIFF: Andrew Stevenson, Sandy Janky, Harry Roelofs, Max Holt. 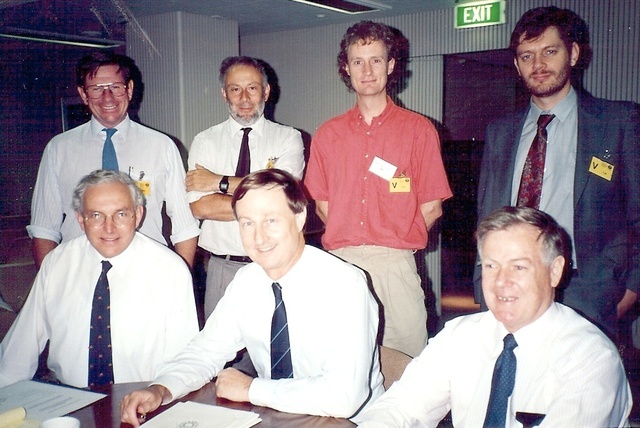 Standing: John Boldeman, Steve Wilkins, Richard Garrett, ? 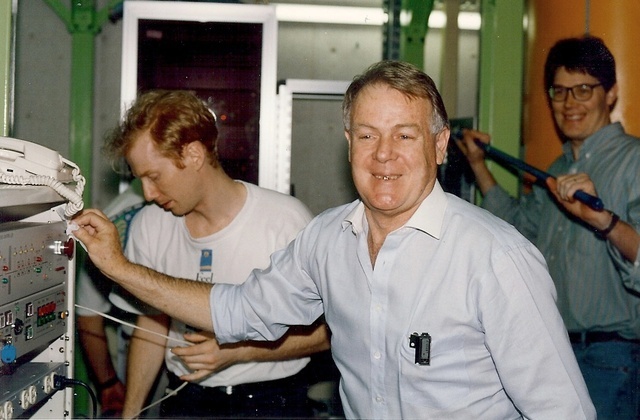 ; seated: John White, David Cook, Dudley Creagh. 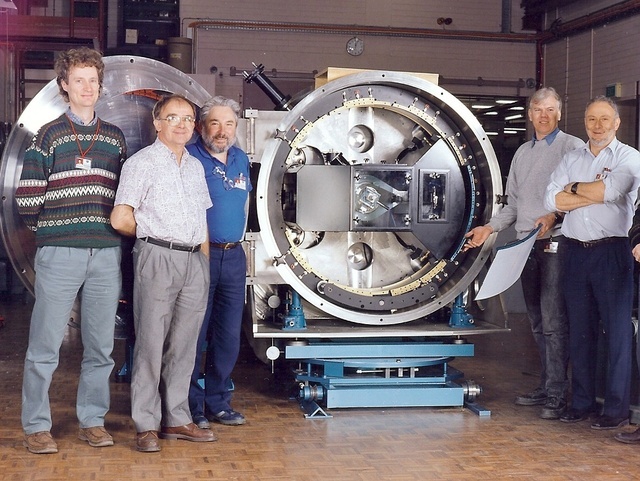 Richard Garrett, Max Holt, Sandy Janky, Rob Cathie, Steve Wilkins. 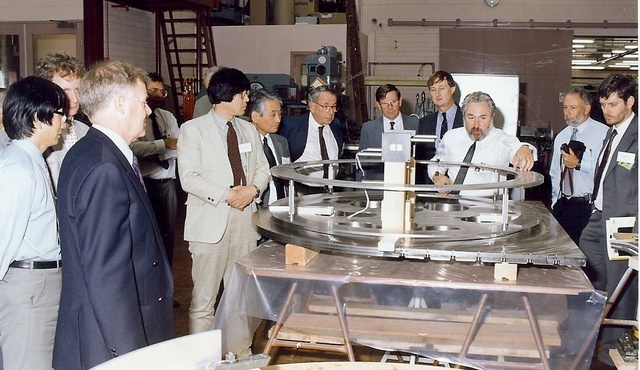 Visit of Japanese scientists to the construction of BIG DIFF: Kasumasu Ohsumi, Masami Ando, Dudley Creagh, Richard Garrett, John White, Hiroshi Iwasaki, David Cook, Tadashi Matsushita, Steve Wilkins, ?, John Boldeman, Hans Freeman. Masami Ando, Richard Garrett, Dudley Creagh, Mike Murray, John White, ?, Kasumasu Ohsumi, Hans Freeman, John Boldeman, David Cook, Sandy Janky, Steve Wilkins, ?. Testing BIG DIFF. 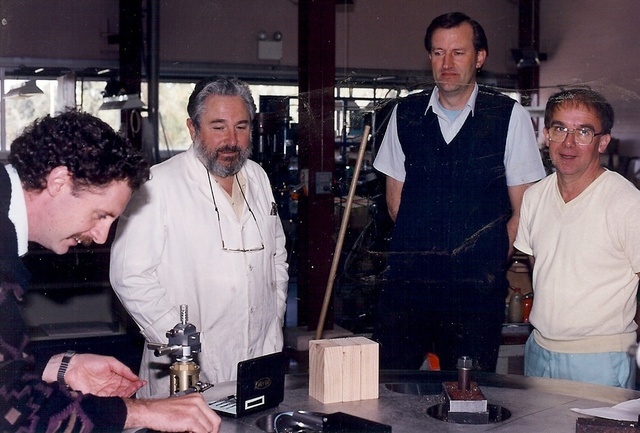 David Cookson, Dudley Creagh, Garry Foran.